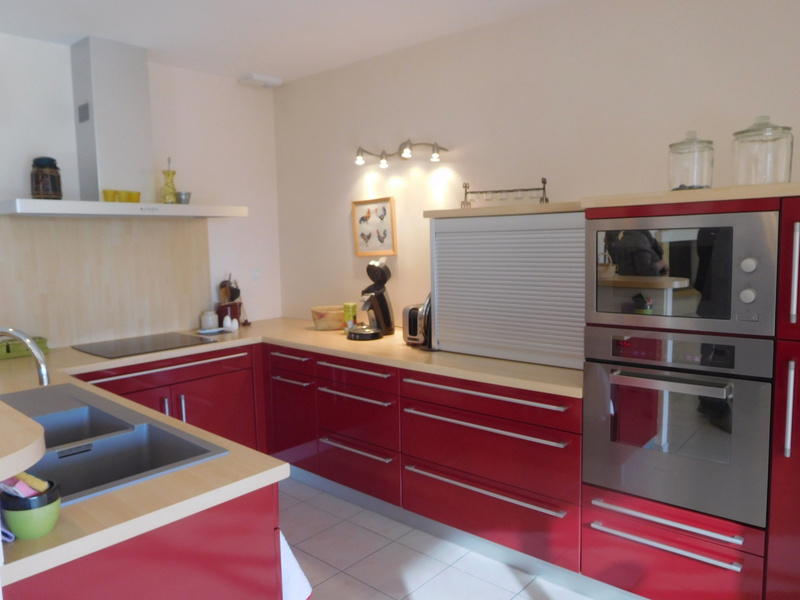 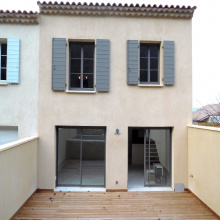 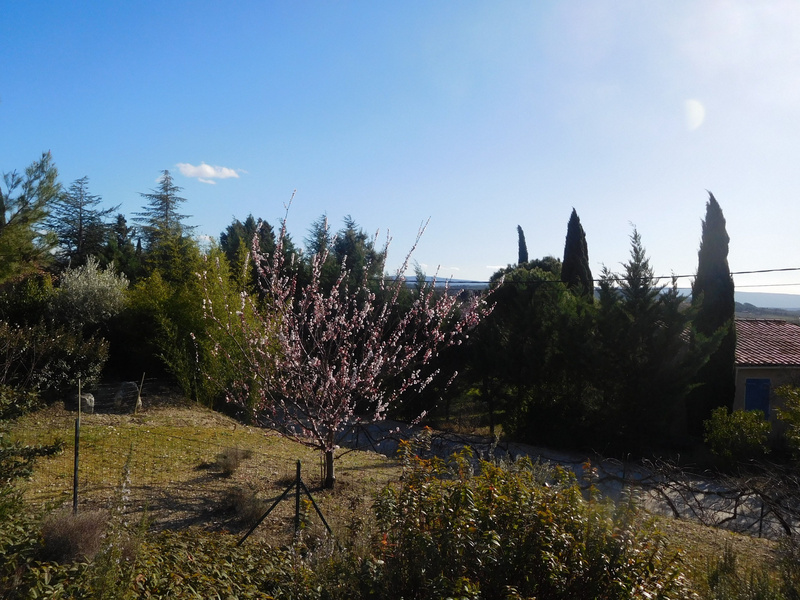 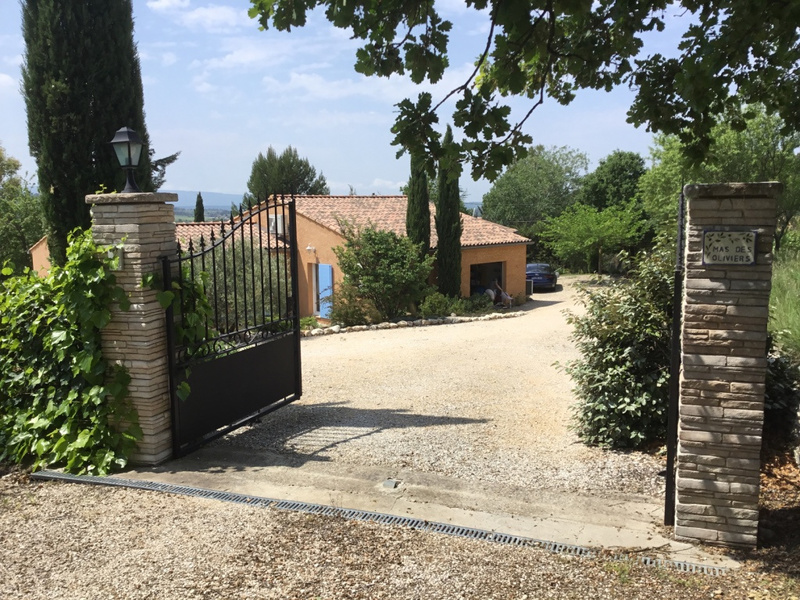 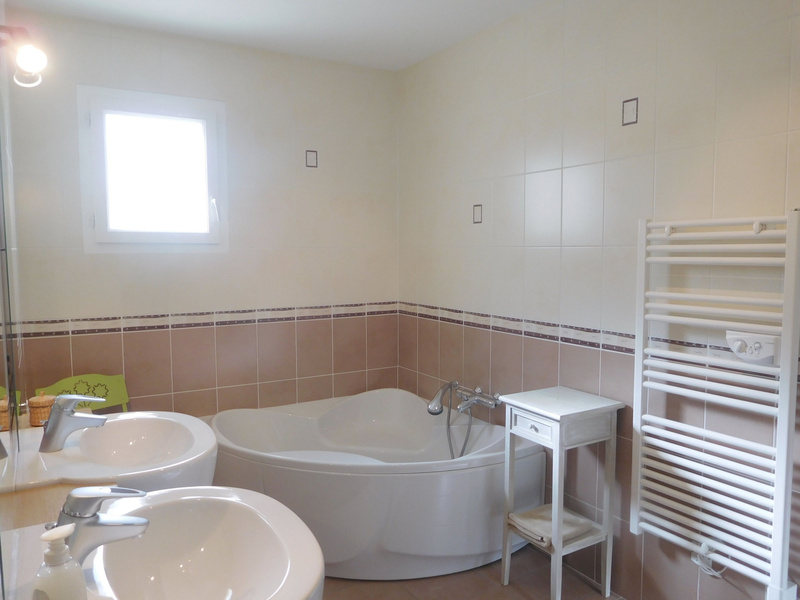 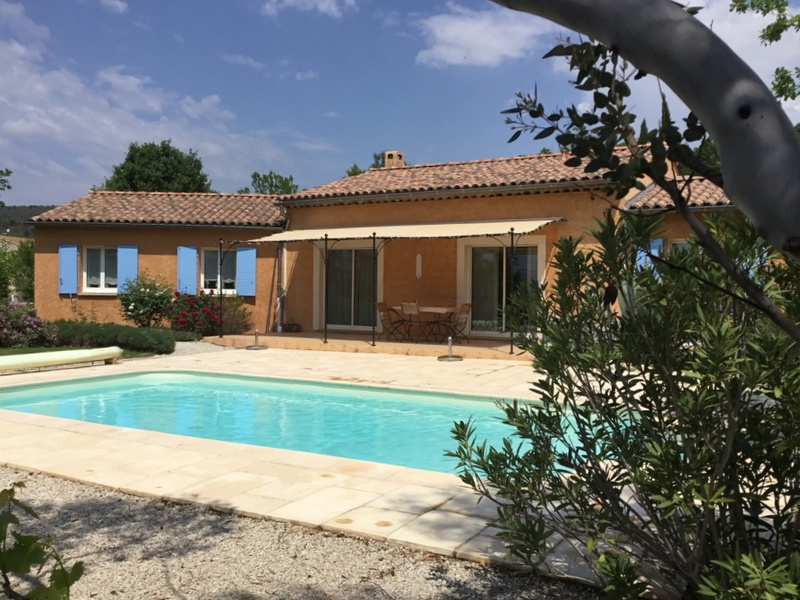 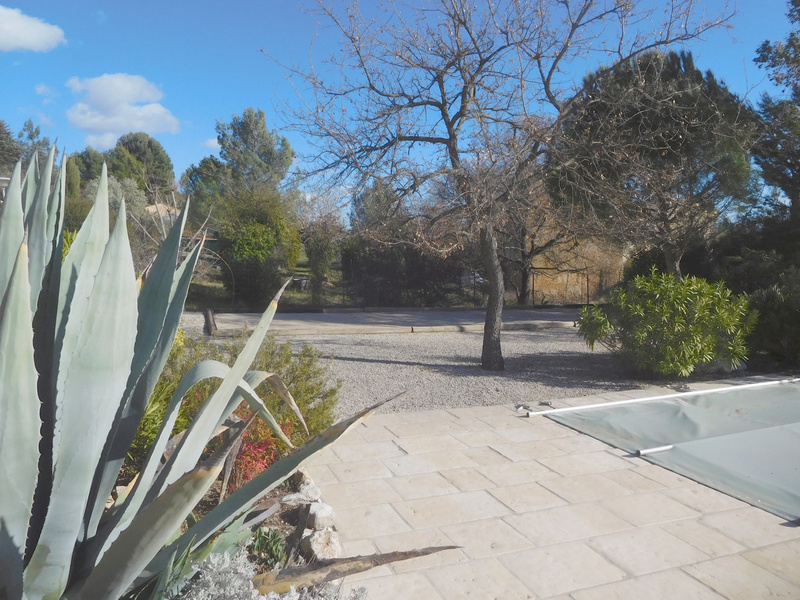 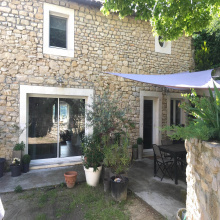 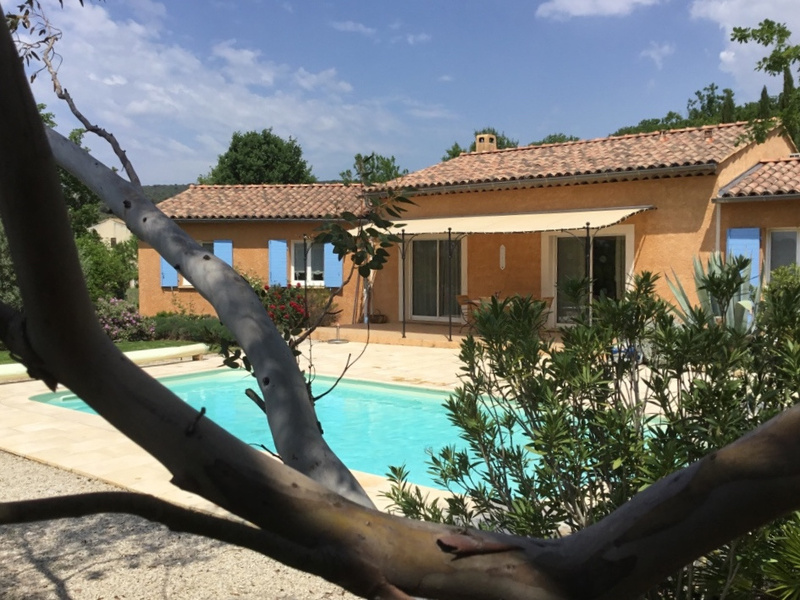 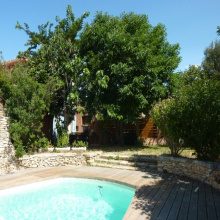 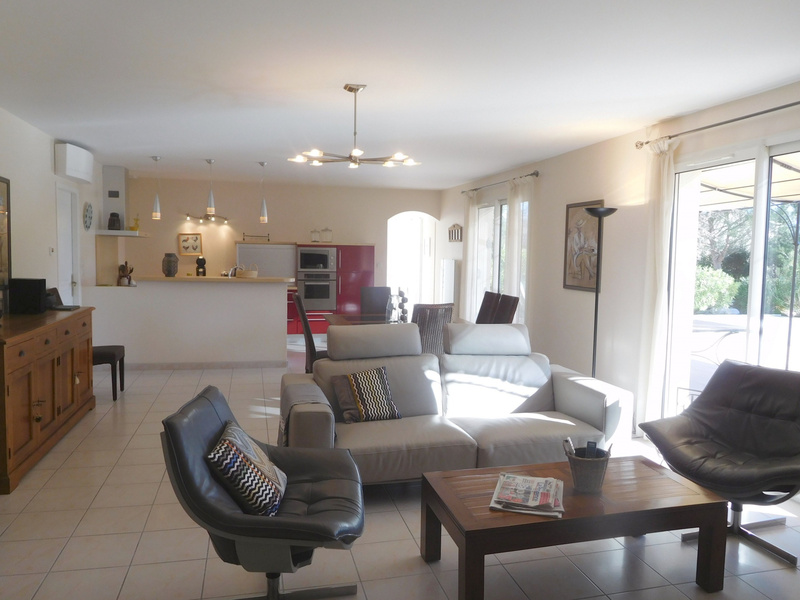 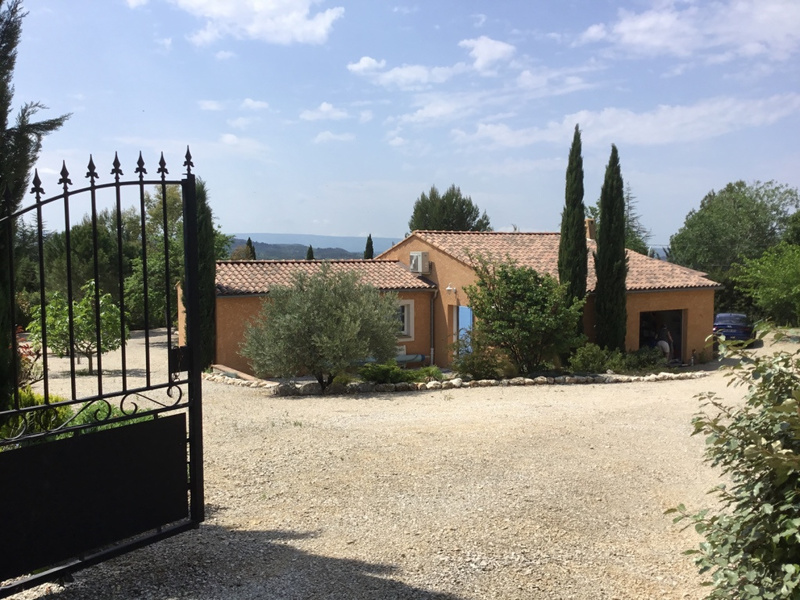 For Sale - St Saturnin les Apt - The Real Estate Ageny Joys of Provence proposes a beautiful Modern House with 5 Rooms. 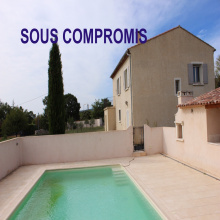 Superb dominant location for this beautiful new house, good construction, bungalow, 4 bedrooms including a master with shower room, toilet and dressing room; large living room with access to the terrace with views and kitchen equipped with scullery / laundry room and access to the garage. 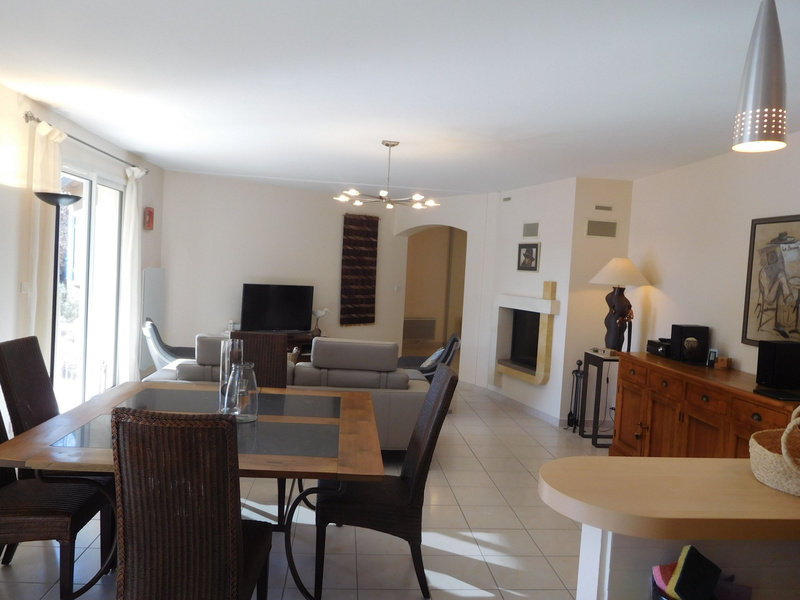 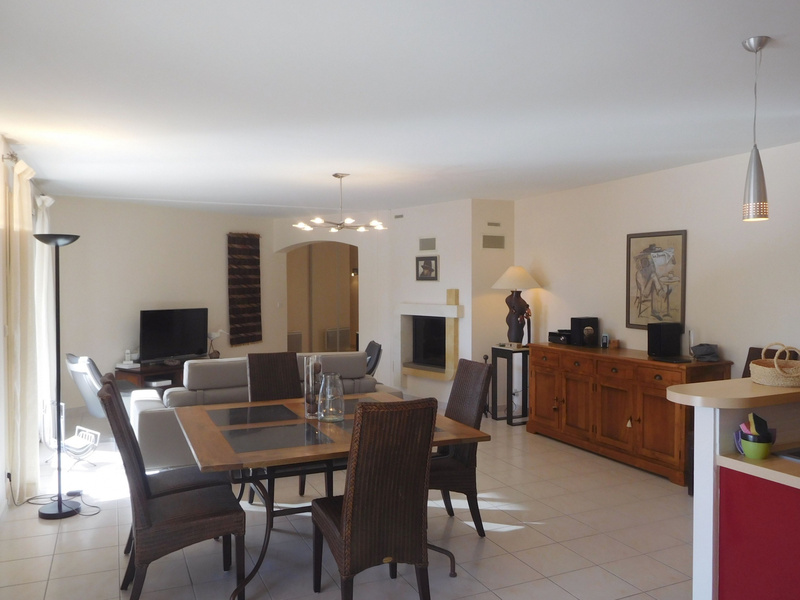 Beautiful terrace, bowling green and 8 x 4 heated pool.